The decisions are in for this year's Highways Awards, but you will have to wait until 17 October to find out the winners of this prestigious competition. 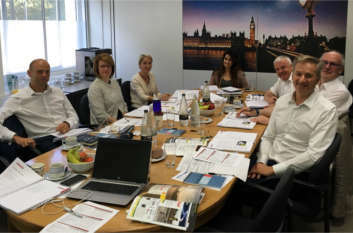 Celebrating the great and even greater of the industry, the independent panel of experts met last week to decide who will take the top spots in each of the varied categories. Those who made submissions this year, and there were over 80 of you, should keep an eye on your Inboxes as the shortlist is set to be officially announced soon. Chief judge this year was the new president of the Institute of Highway Engineers, Jonathan Pearson, head of programme management for Ringway Jacobs in Essex. He told Transport Network: 'This year’s award entries demonstrated a wide range achievements throughout the highways sector, from all corners of the UK. Across all categories it was clear that the industry is working with heightened collaboration, at all levels and this is making a real difference to the services delivered. projects being built as well as innovation coming forward. 'It was great to see continuing wider evidence of industry partners working together. It was also heartening to see a large number of Apprentice of the Year submissions, all of which showed the fantastic work being done to recruit, train and develop the technicians, engineers and professionals we will need in the future. As usual the judges were drawn from across the UK nations. For more information and to book your seats, visit the awards website.